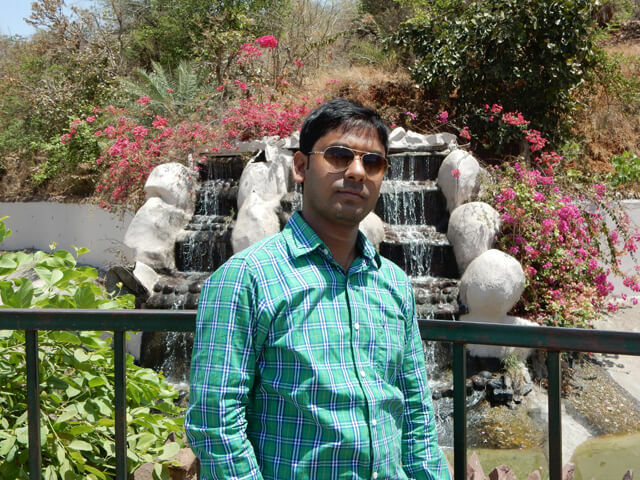 My friend Vipin's wedding was at Chhindwara on Monday 18 April 2016, we planned to leave on Friday from Delhi, so we had two extra days to explore some places in MP. 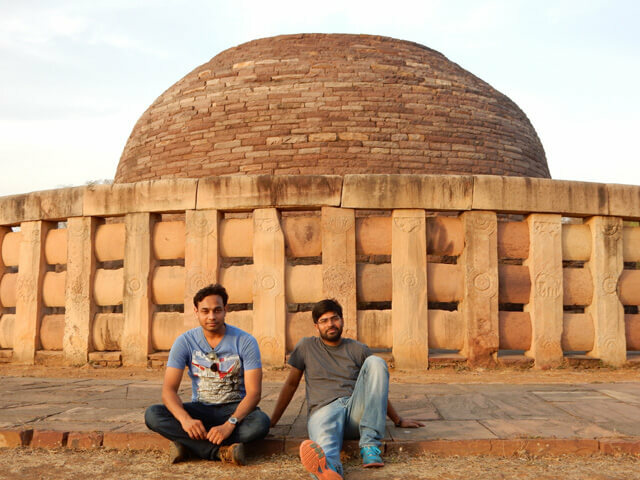 We were three boys Vivek, Pankaj, Neeraj and decided to explore Sanchi and Bhopal. 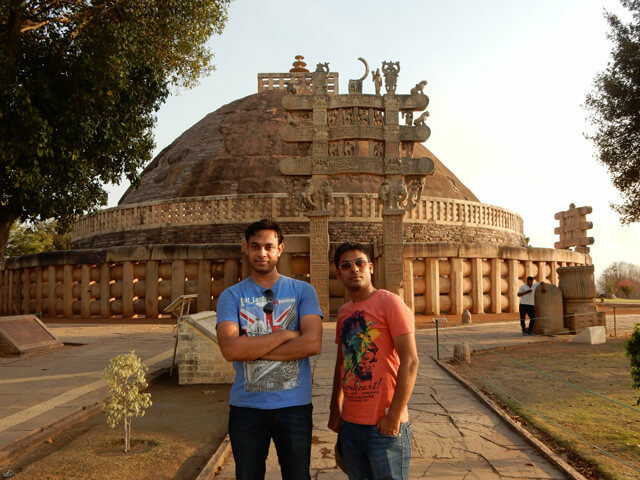 The Sanchi Stupa and Bhimbetka are two UNESCO-listed sites nearby Bhopal city, so it was easier to explore in two days. On 15 April 2016, we caught the train from Delhi to Vidisha around 9:30 PM. Next day around 6:00 AM, we reached Vidisha. Vidisha is the nearest railway station for Sanchi Stupa (Sanchi also have a railway station but no direct train from Delhi). Sanchi has only a few good options to stay, you can also stay in Bhopal and make a day trip for Sanchi. After reaching Vidisha, we enjoyed local food in breakfast (Poha, Kachori, and Jalebi) along with tea. 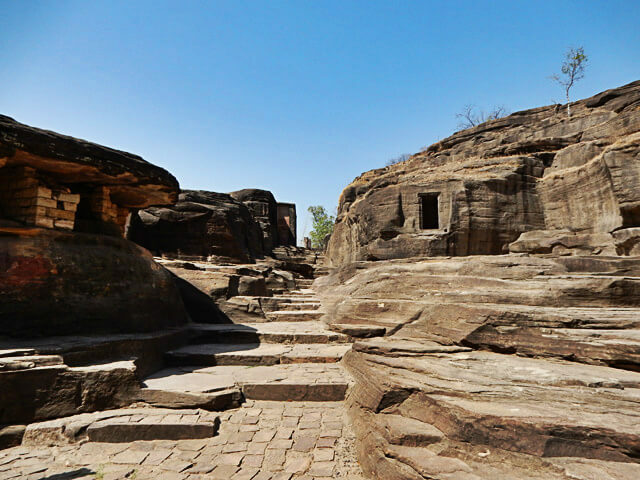 The Udayagiri cave and Bijamandal are two main attractions in Vidisha city. You can also visit "Charan Teerth" at one of the ghats of river Betwa but this beautiful site is poorly maintained. MP tourism must focus on these sites and provide a variety of option to tourist. After refreshment, we hired an auto to explore Udayagiri cave and Bijamandal. 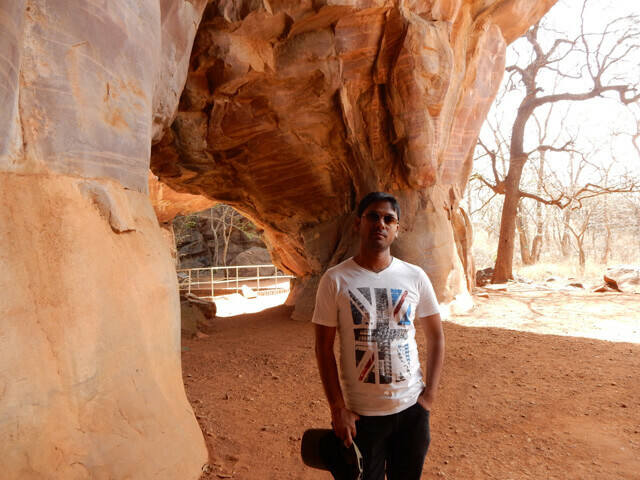 First, we visited Udayagiri cave and it was really an interesting site to explore. 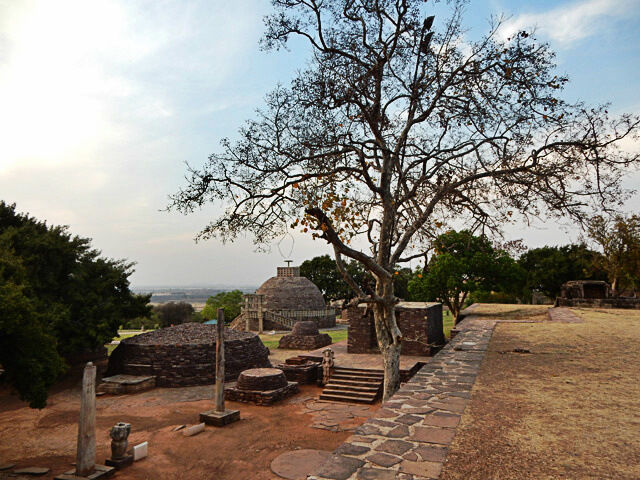 Udayagiri is about 4 km from the town of Vidisha and about 13 km from the Buddhist site of Sanchi. 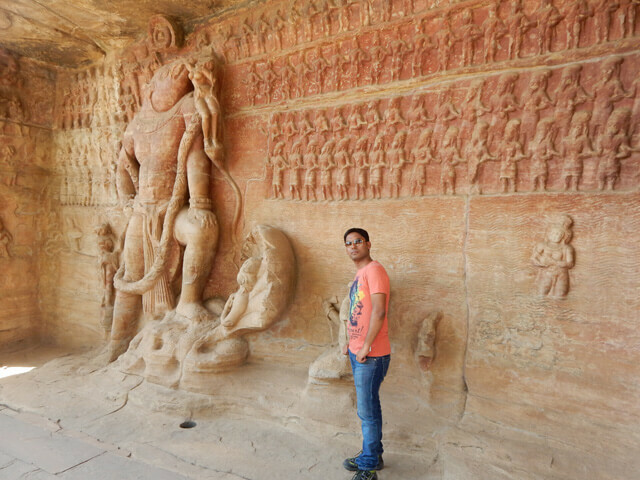 There were various caves and every cave has a different sculpture of Hindu Gods. You required at least 1-2 hours to visit this beautiful site. 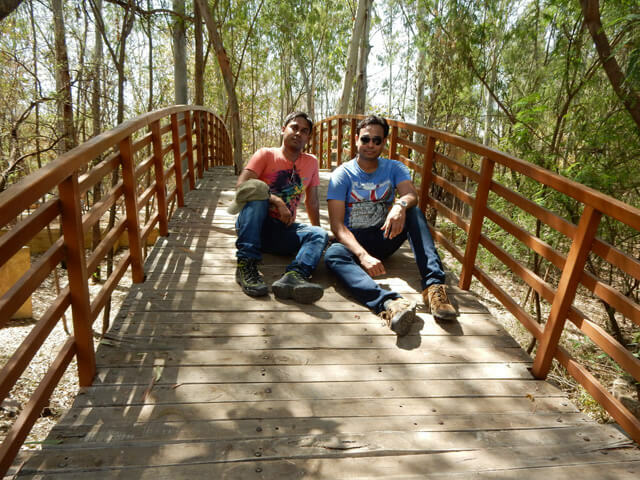 After exploring Udayagiri caves, we walked till Jungle Resort. This resort is operated by MP tourism and it's located near the river Bes (500-meter back side of Udayagiri cave). If you are looking for peace and beautiful environment then this resort is the best and only one for the night stay nearby the caves. You can also spot some species of birds near the resort and there was also a facility of boating. 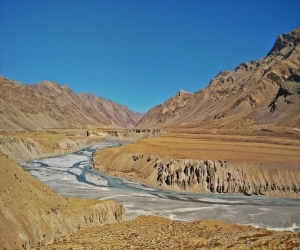 We returned after capturing some photographs and moved towards Bijamandal. 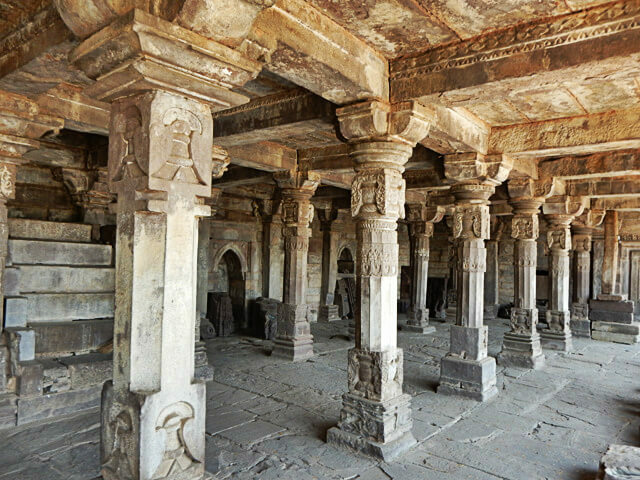 Bijamandal is ruins of a very old Hindu temple and it's a perfect site for art and architecture lover. 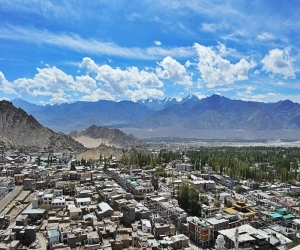 This site is located in the main city and is very well maintained. After visiting this site, we returned to the hotel (30 minutes was enough to explore this site). Time was around 1:00 PM and all of us were very hungry. We had lunch and also enjoyed the taste of sweet Lassi. April is not a good time to visit Bhopal and nearby area due to hot weather but traveler like us are always ready for fun. After lunch, we had 2 hours rest before going to Sanchi Stupa. Around 3:00 PM, we were ready to go Sanchi and caught the bus from Vidisha Bus Stand. We reached Sanchi around 4:00 PM; now, the weather was little better in compare to noon. 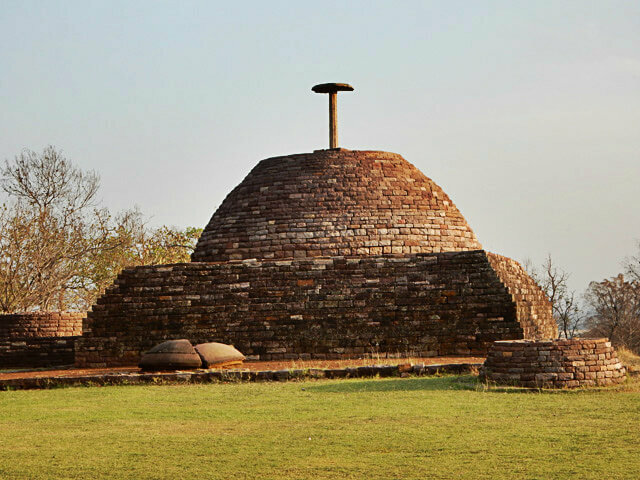 The Great Stupa at Sanchi is the oldest stone structure in India and was originally commissioned by the emperor Ashoka the Great in the 3rd century BCE. 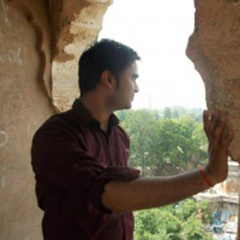 I was very excited because my target is to visit all UNESCO listed sites in India. 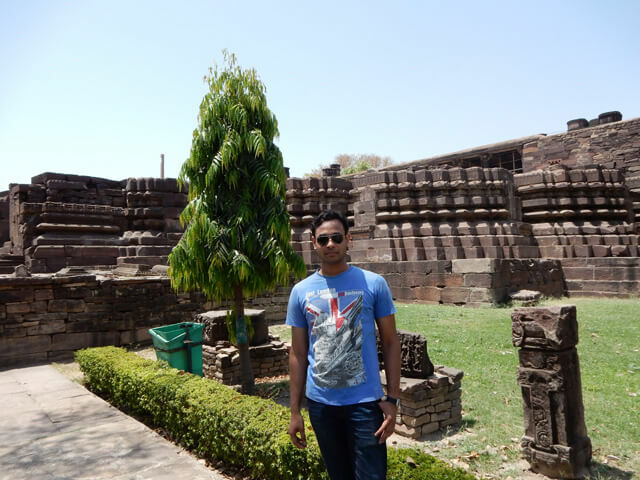 Sanchi is really a beautiful place and must visit tourist destination. This was a big complex and you required at least 3-4 hours to explore all things. There were different Buddhist monuments and ruins of some old temples and stupas. Sanchi stupa is open from sunrise to sunset; time was around 7:00 PM, so we came out from Stupa premises after exploring this beautiful place and walked to the market. Sachi is just a small village, there was nothing else to do, so we only had tea and returned to the hotel. Next day in the morning of 17 April 2016 around 7:00 AM, we were ready for next destination, Bhopal. 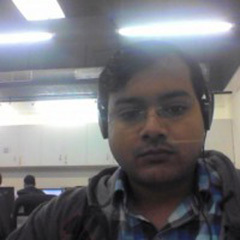 Sanchi to Bhopal is around 50 KM and bus took approx 1 hour to reach. Around 8:30 AM, we reached Bhopal. At Bhopal bus station, we had breakfast and hired an auto to reach our hotel. 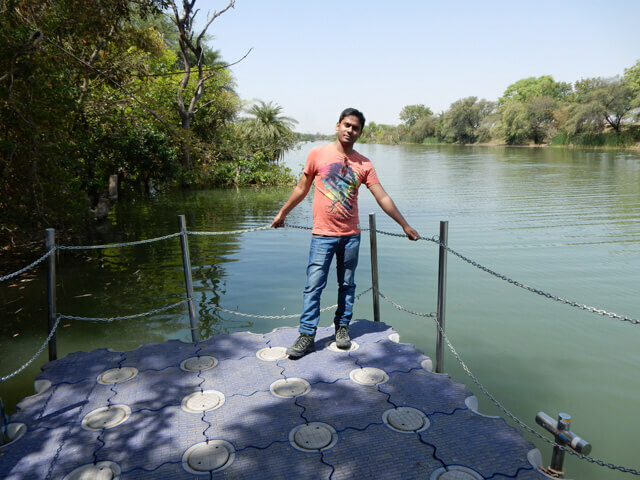 Bhopal city is known as a lake city; we first went to Upper Lake (also known as Badi Jheel or Bhojtal). 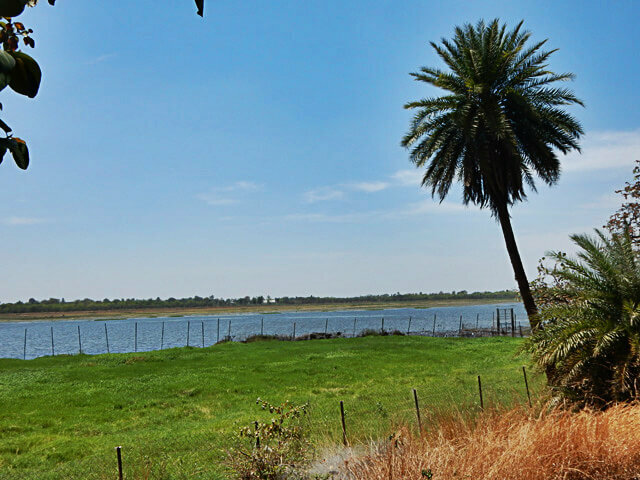 The Upper lake is one of the biggest man-made lakes in India. It was very clean and well maintained; anyone can also enjoy the boating here. 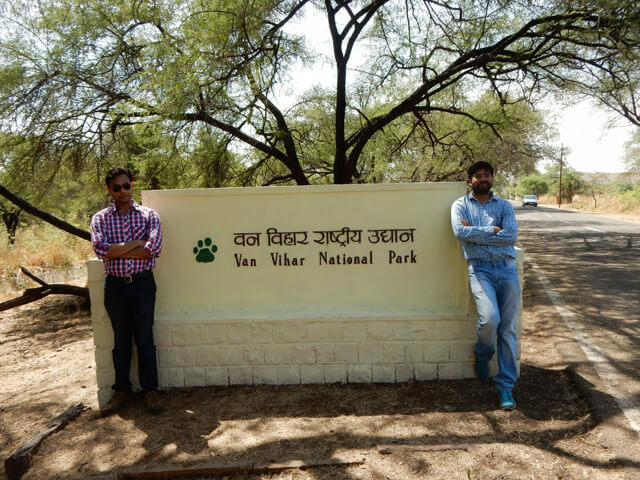 After some photo shoot, we decided to go Van Vihar National Park. 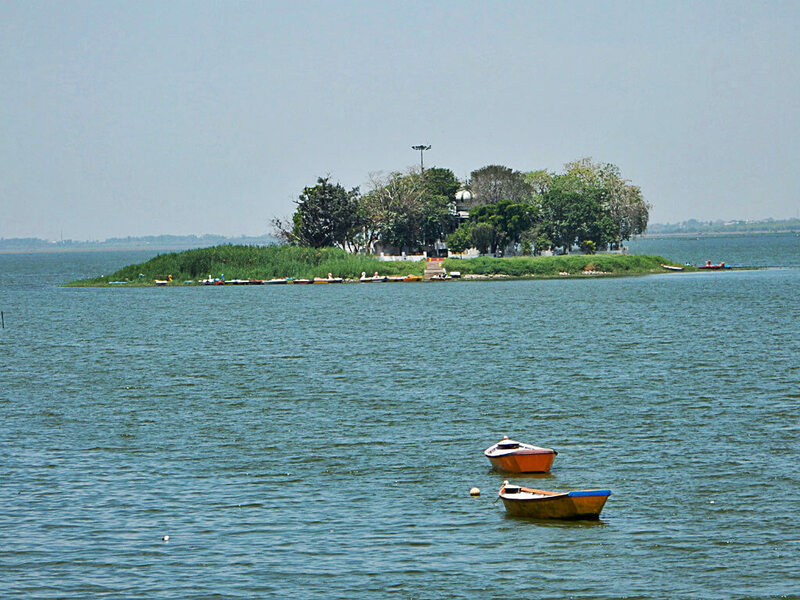 Van Vihar is categorized both as a zoo and national park; it has 5 KM stretch along with the lake. There were a lot of birds which made this place ideal for the birds lover. 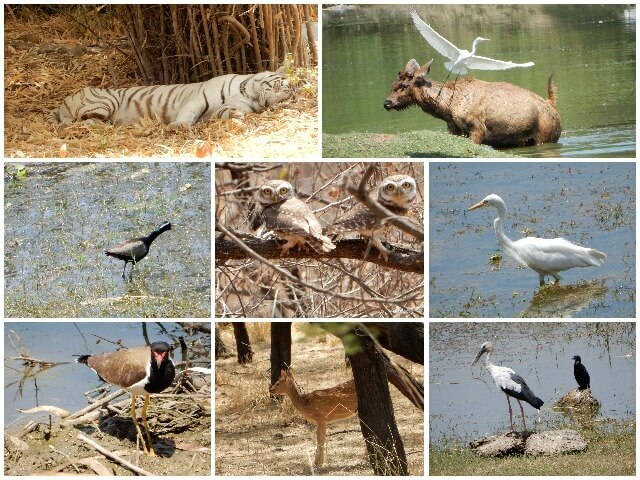 You can also see some rare animals like Black Bucks, Bison, Bengal Tiger etc. There was also a small section for reptiles where you can see different species of snakes and tortoise. This was really a different and unique kind of a zoo. If you are going to Bhopal city then must visit this place. You can also take a bicycle on rent from the entry gate. Motorbikes and cars are also allowed inside the park. Best time to visit the park is in the early morning. After visiting Van Vihar, we had lunch and went to see Taj-Ul-Mosque. We ended the day's journey with Shahpura Lake in the night. Shahpura is more popular with the locals and one of the picnic stop in Bhopal. 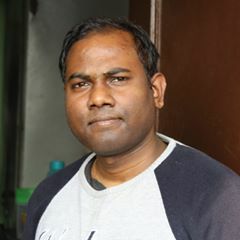 Next day in the morning of 18 April 2016 around 8:00 AM, we were ready to move towards Chhindwara (we hire a car from Bhopal to Chhindwara for two days to attend friend's marriage). 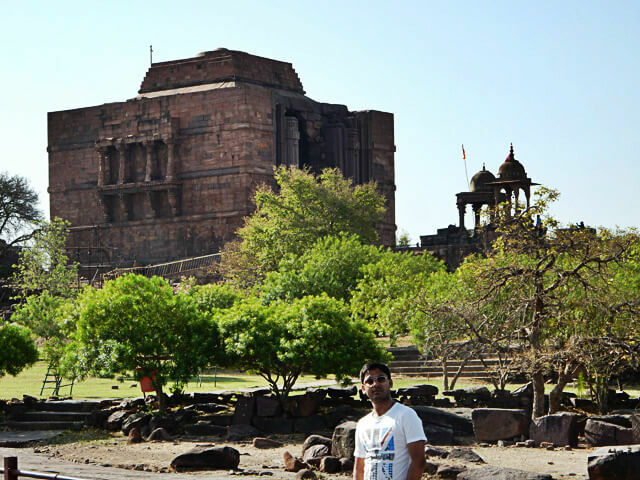 We decided to go Bhojpur Temple and Bhimbetka on the way. 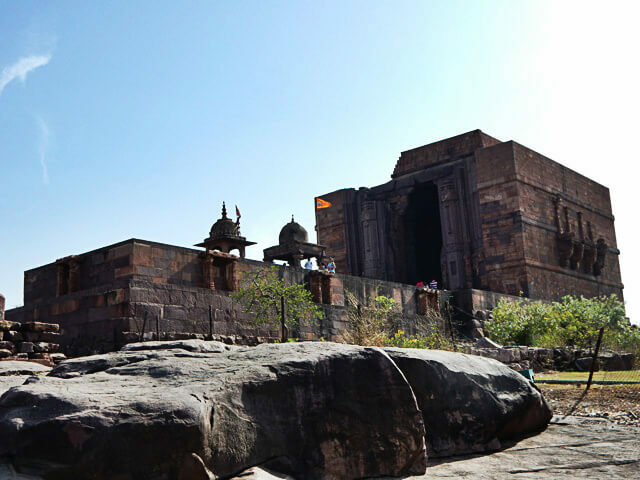 First, we visited Bhojpur temple; it is unique in being left unfinished, with a series of large architectural parts are still located in the quarries where the stones were to cut and fashioned. In addition, there are significant numbers of architectural drawings engraved on the flat surfaces of the quarry showing mouldings, pillars, and temple plans. 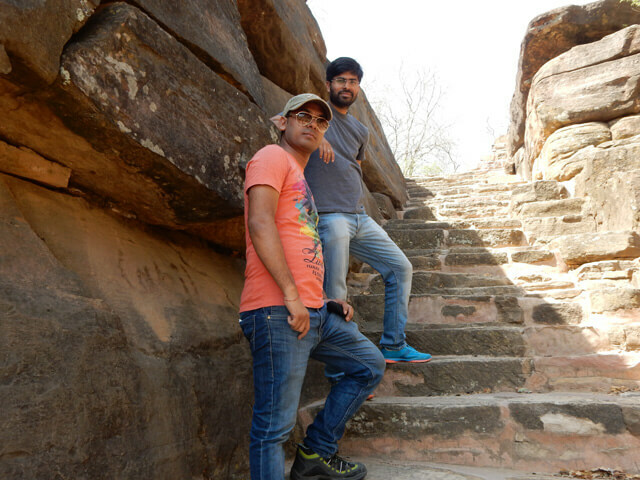 We were there for half hour and then ready for next destination Bhimbetka. 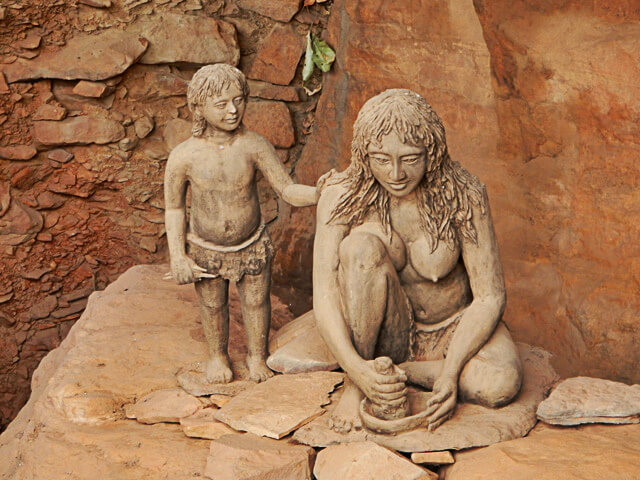 Bhimbetka is UNESCO listed world heritage site and one of the must visit place near Bhopal. You require at least 1-2 hours to visit this unique and interesting place. 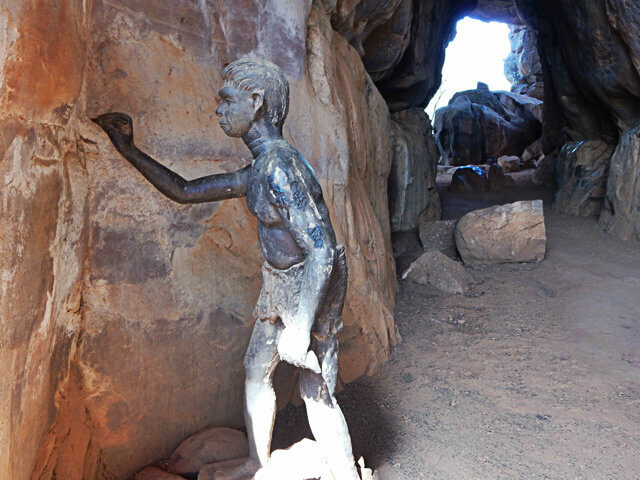 The rock shelters and caves of Bhimbetka have a large number of paintings. The oldest paintings are considered to be 30,000 years old. 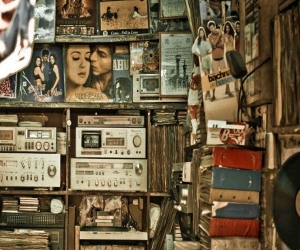 This place was one of the best parts of my Bhopal trip. We were there for more than one hour and explored as much as possible. 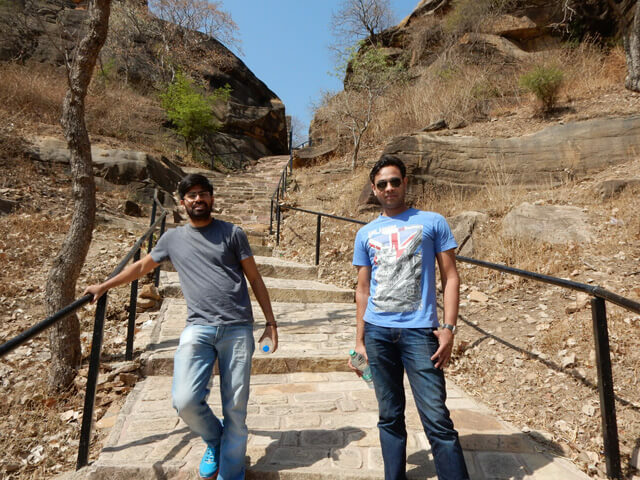 After visiting Bhimbetka cave, we were ready for a long drive. The road from Bhopal to Chhindwara was in very good condition; even Bhopal state highway was better than National highway. 100 KM journey was in Satpura Jungle, hill area, and Ghats; ride in the jungle was very beautiful and amazing (famous tourist destination Pachmarhi is also on the same route). 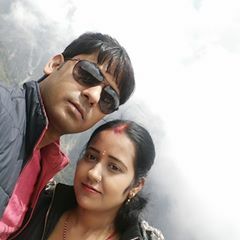 After attending friend's marriage, next day we returned to Delhi. 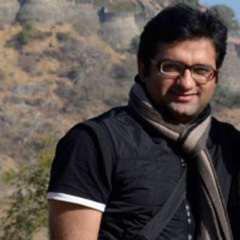 Thanks for reading my experience about Bhopal trip.